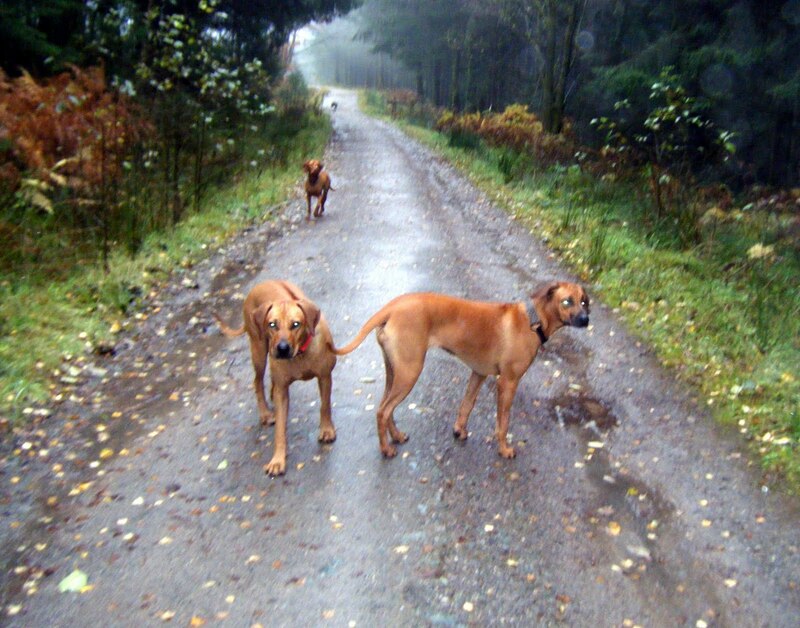 Home > Blog > Two Rhodesian Ridgebacks! An uneventful, if wet, morning walk and then up to Drymen this afternoon for a change of scene (and trying to escape the rain!!). No joy as was pouring with rain the whole time but we all still enjoyed our walk, but never passed a single person. It was the first walk that my two Ridgebacks have been on together and they loved playing with each other! Between trying to get them both to stay still long enough for a photo, and the heavy rain, this was the best photo there was…..Zola normally hates the rain, but today Rio took her mind off it!